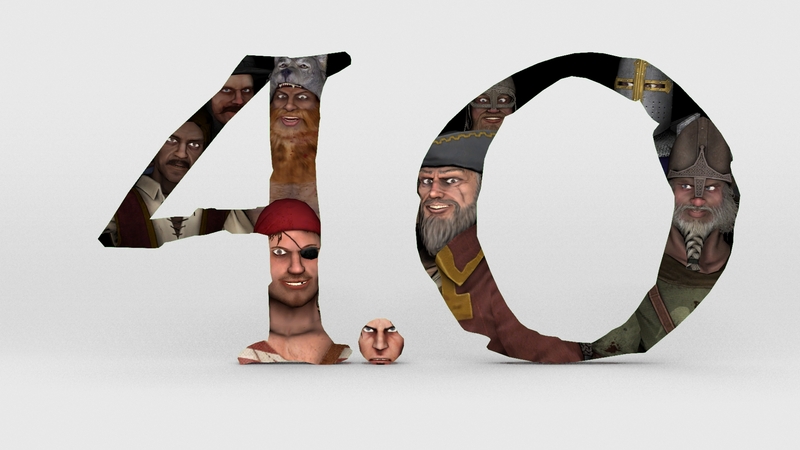 Welcome to our new Official PVKII Forums, and welcome to our Beta 0.4.0.0. era! A major update for PVKII has been released! Server owners, please update your servers! 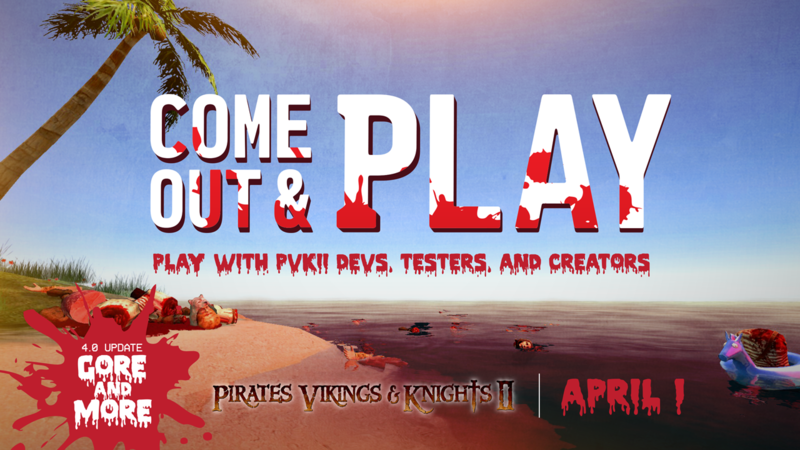 Spring has arrived, but we want you to stay inside just a little while longer to play some PVKII. We'd like to go out on a limb and say this is probably one of our largest updates to date. Our changelog below is condensed, and no where near describes the amount of content and work put into this update. Blood, sweat, and tears - its finally here. We hope you enjoy! Have a bloody good time with Beta 4.0! New Features and Code Updates! 26 Achievements, with art created by the community! PLAY WITH DEVS, TESTERS, & CREATORS! Please see below for a summarized changelog that details many of the changes in this release. Head over to our Bugs/Support Forums to report any issues. Now featuring the ability to slice, dice and explode your enemies! Casual: This ruleset intended for more "sit back and relax" type of gameplay, pop open bottle of Hubb Jubb and have fun. Competitive: Don't expect any hand holding here! Competitive is the ruleset where only the best may win. With the most significant changes to the gameplay, Competitive is not recommended for inexperienced players. Custom: Make your own rules! This ruleset means that the server has unique changes that won't fit in Casual or Competitive sets. Server admins can create and name their rulesets, even for each game mode. Server admins can switch rulesets by using command "mp_ruleset" eg. "mp_ruleset Competitive". For instructions on how to create custom rulesets, view the "readme.txt" file in "rulesets" folder located in the game directory. A detailed guide for this feature will be available soon. New demo system, more details soon. Check "Demos" tab on advanced options for available features! Added call vote system, more details soon. Press "Call Vote" button on in-game menu to start a vote. Game servers can now download Workshop maps. See server commands prefix'd with "workshop_". 26 new achievements. Achievement art created by the community! View winners in the thread in our forums. 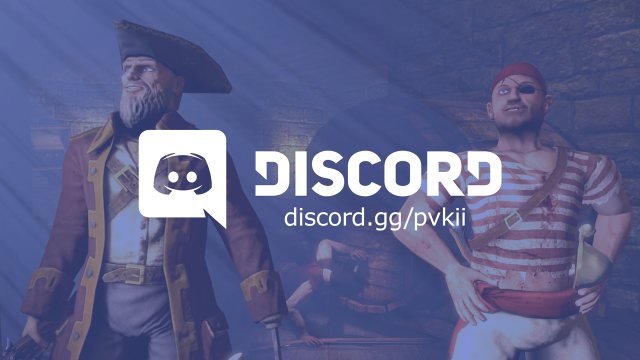 Join the conversation on the official PVKII Discord! Interact with devs, testers and creators! Thanks for your continued support PVKII fans! We'll see you in game! 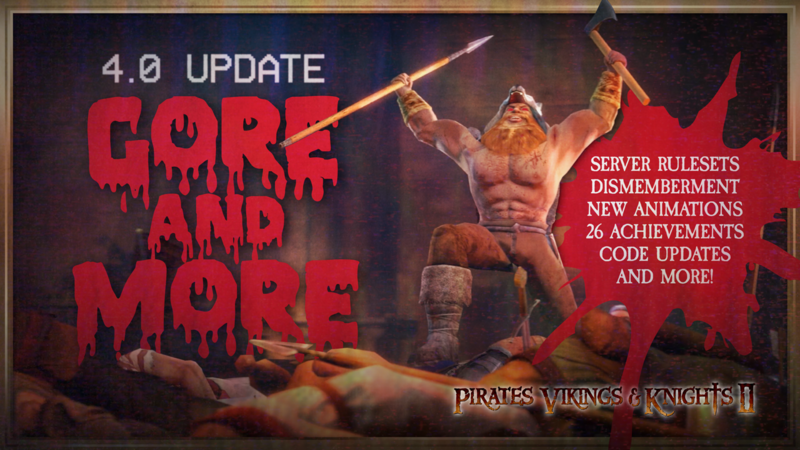 A minor update has been released for PVKII GORE AND MORE. Server owners, please update your servers! - Fixed mipmaps on Archer's gibs. - Shaders are now synchronized, back then you'd see old textures on Archer's gibs for example. - Redid the Archer's bone gibs (torso). - Updated textures (normalmap & shading) on Knight's sheaths. - Improved blood-gib shading on Archer, Huscarl & Skirmisher. An update for PVKII has been released. Server owners, please update your servers.